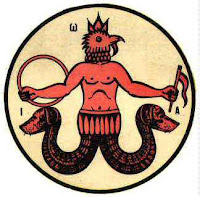 The New Moon in Aries takes place on 3 April 2011 at 15:32 BST in 13° Aries 30’. In the Astroshamanic Binary System[i] this New Moon is identified as 1.1, which is the first of the 144 combinations between Sun and Moon. Sun and Moon in Aries (1.1) are concentrated and pure Aries energy. Aries is Sector 1. As such, it cannot conceive 2, 3, 4, etc. As a matter of fact, the whole idea of numbers is all beyond its single-mindedness awareness of 1, merely 1. The 1.1 binary is the first pioneering stage into separation. Yet, it merely breeds the fantasy of separation, for in practical terms it is still unity. It does not really have any concrete experience of what separation is about and the moment when it does have an experience, well, it is not 1 anymore. It is 2, 3, 4, etc. Yet, this has not happened yet and for the time being, it is still 1, and does not have a clue of what 2, 3, 4 are about, though it knows what was happening before. Thus, if 1 took just one step back, it would find itself in 0 (zero). 0 depicts the circle, the cosmic egg giving birth to 1. 0 is not truly a number. It is a gestation chamber. 1 is the primordial offspring of 0. It is not a son or a daughter, for these tortuous notions of gender do not make any sense for 1. These are issues concerning 2, 3, 4, etc. The moment when 1 has a gender is not 1 anymore. It is 2, 3, 4, etc. Yet again, this is not the case now, for there is only 1. This New Moon has the capacity to galvanize most primordial memories slumbering in our dormant unconscious. Well, this is indeed the case for all New Moons, yet from a 1.1 perspective this is the only possible New Moon. 1.1 unveils the salubrious recollection of our unexpurgated ego. The essence of this genuine ego abides here. It is self-centred simply because there is nobody else out there. There is complete selfishness for the idea of unselfishness does not exist. This is why there is so much misunderstanding about 1.1. According to one’s perception it can appear as either the quintessential of separation or of unity. The choice is yours. 1.1’s stuff is the cornerstone for healing. The first step of any healing enterprise, as I see it, involves clearly identifying energy patterns. As a result of separation energies are muddled up and fragmented. 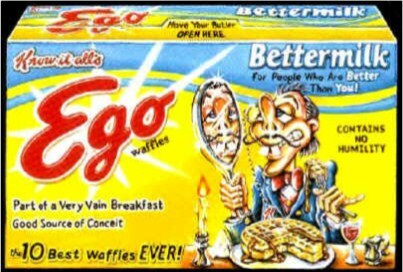 The adulterated ego and the related consensus belief system based on separation, do their best to feed this jumble. The best promotional activity consists in creating endless and looping conflicts between the ego and the non-ego, ordinary and non-ordinary, the selfish and the non-selfish, the spiritual and the non-spiritual, and so on. This is a typical Machiavellian[ii] technique. As long as energies are mixed, confused and exclusively concerned about their conflicts, separation can prosper in the background. When energies are identified and clearly separated the structure of the ego exposes its basic mechanics. In a nutshell, the first step into healing (meant as retrieval of unity), far from moving into unity itself, involves going totally into the root of separation. Authentic unity is such only if I can find it in separation, otherwise it is just a bogus unity hired to feed the conflict with separation, which is indeed part of a pantomime organized by separation itself. The upcoming New Moon is a major opportunity for processing and composting massive amounts of reticent and pent-up feelings. This is the esoteric inception of spring, the moment when both polarities are about to join in Aries, i.e. Sector 1. The time that precedes this New Moon is the ultimate period of gestation, the Zero-point leading into the final conception of 1. It is a major moment of release, involving the whole cycle of the year. If you notice some a proliferation of grievances during this time, please be aware that it is part of the trade. You have the great opportunity of facing unfinished businesses and finally preventing them from being recycled again. Much of this material refers to unmentionable and horrible scripts. The key of this release work resides in being open to “let go of all the conventional social and unselfish garbage, binning all the characters based on unity, solidarity, spirituality, relationship, co-operation, etc, and being just me, only me”. Whatever this may mean, you will find it out by yourself. For example, I could take 15 minutes to let go of all the conventional social and unselfish garbage, hence binning all those haunting characters based on unity, solidarity, spirituality, relationship, co-operation, etc, and purely embracing the ego. As I dive into this most straightforward and selfish 1.1 ego, I will access the area where all the Mayhem started. [i] The Astroshamanic Binary System (ABS) comprises the 144 combinations between the Sun and the Moon position in the 12 Sectors of the Sacred Circle. The 12 Sectors are associated with the 12 zodiac signs and houses given in their natural order: 1 Aries, 2 Taurus, 3 Gemini, 4 Cancer, 5 Leo, 6 Virgo, 7 Libra, 8 Scorpio, 9 Sagittarius; 10 Capricorn, 11 Aquarius, 12 Pisces. The combination is described by putting together the number of the Sun’s Sector followed by the number of the Moon’s Sector, separated by a dot or hyphen. Hence, for Sun in Libra and Moon in Aries, the reference is 7.1. 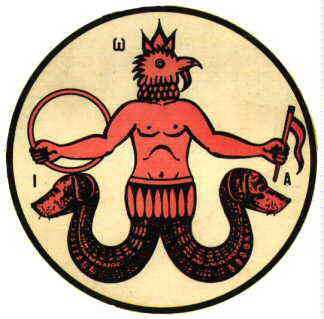 The Astroshamanic Trinity System (ATS) also incorporates the zodiac sign of the Ascendant. The position of the Ascendant follows the Sun-Moon combination. For example, Sun in Virgo and Moon in Scorpio with Ascendant in Scorpio is described as 6.8.8. To sum it up, the first number is the Sun’s position, the second is the Moon’s position, and the third is the Ascendant’s position. [ii] From Niccolò Machiavelli, an Italian political philosopher and influential statesman of the XVI century, famous for his strategies based on duplicity and cunning .